Pendle Hill from Sharp Haw, originally uploaded by DragonDrop. Stopped off and did a superb walk on the way home last night. I was geocache hunting but the walk was the main event. There’s a hill called Sharp Haw that I spot every morning on the way to work and often think “I’d live to climb that.. I bet it’s nice up there” Well, I did and it was. 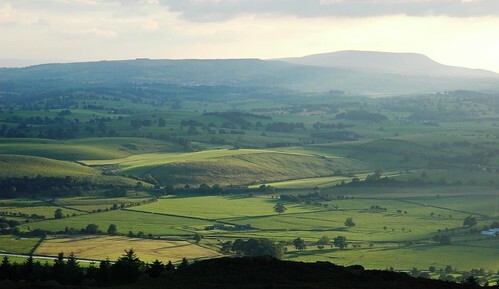 This is the view from the top looking towards Lancashire. Not long is left for the opportunity to do a bit of after work daylight demanding activity.. better make the most of it!